The trick with mac & cheese is to make sure that you put your soul into it. You’ll want to just be dedicated to it at that time because that’s what a lot of people will gravitate towards at any table. When my Nana used to get down for any celebration, my cousins and I would be sure mac & cheese was on our plate first. Now trying to carry on the tradition and making her proud, I’m sharing it with everyone else. Note that in this recipe you’ll be able to mess with it as your own. You can choose any cheeses and adjust the serving size based on who you’re feeding. But if you do end up having extra, mac & cheese it’s just as good the next day. So get to it! Try it out and use this recipe to inspire a tradition of your own! 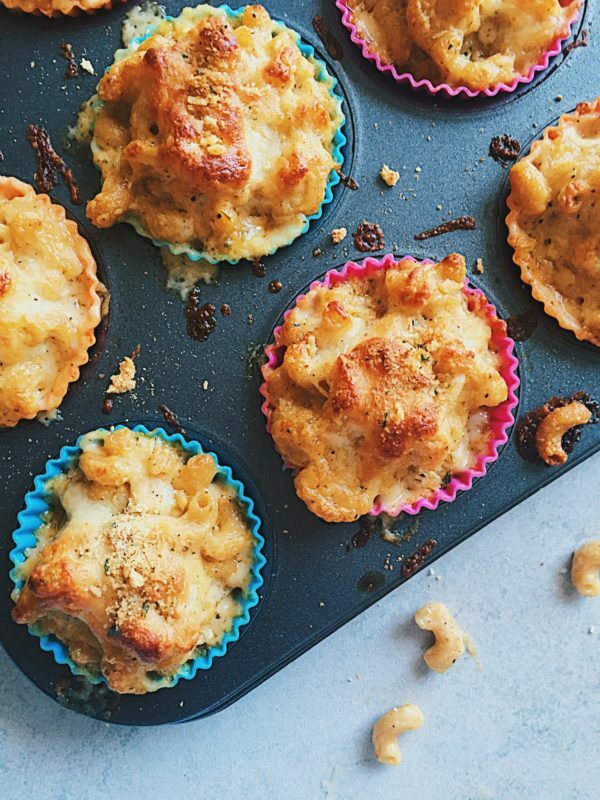 You can create this mac & cheese recipe in a cast iron or you can have them in a little cups. 1 tspn seasonings of each: garlic powder, black pepper, paprika. + pinch of salt. Get water boiling (in a pot) before putting your elbows in and add a capful of oil to your water. You can add in some salt here and take out from the cream so it's not over salted especially from cheese. While your water is boiling begin prepping you "roux". - Place the butter in your pot and once it's melted add your minced garlic. Once the garlic and butter have browned, add the whipping cream in a pot along with with the milk. Stir so it doesn't stick to the pan while heating on a low-medium heat. You'll gradually start adding your seasonings and stir them in. Next you'll start adding your cheeses in and be sure to keep the mixture going so the cheese is melted. You're using half of the 8oz bag of shredded cheese on this step. The water should be boiling now, you'll add your noodles in for less than the al dente time it says on the box. - Sometimes 6 minutes, so you would do 4.5-5 minutes. Back to your cream and cheese mixture, make sure that the cheese has melted down enough. Remove your noodles at the 4.5-5 minute mark, strain them and then you'll add them to the "roux" that you've made. Gently stir them in. This step is where you'd mix in some herbs. If you accidentally added more milk or you think it's too "liquidy" (totally not a word), you can sprinkle some breadcrumbs in to thicken it. Just note that you'll want it gooey, so don't overdo the breadcrumbs. If you're choosing to go for the cast iron or a baking pan, you'll coat the pan. Then you'll place your cheese and noodle mixture into the cast iron. Be sure to top with some more cheese and a sprinkle of breadcrumb. Place in the oven to bake for 20-25 minutes or until the top has browned nicely. Gentle remove the cast iron or baking pan from the oven, place it on the table with a serving spoon and enjoy! If you're choosing the cups, you'll spray the cups down (I used re-usable silicon cups). You'll scoop the cheese and noodle mixture into each cup. Top it off with cheese and breadcrumbs. Place in the oven to bake for 15-20 minutes or until the top has browned nicely. Gentle remove from the oven and plate the cup on a tray. Then be sure to enjoy!